1. Place cashews, banana, orange juice, almond milk in the food processor. Mix on high speed until completely smooth. 2. 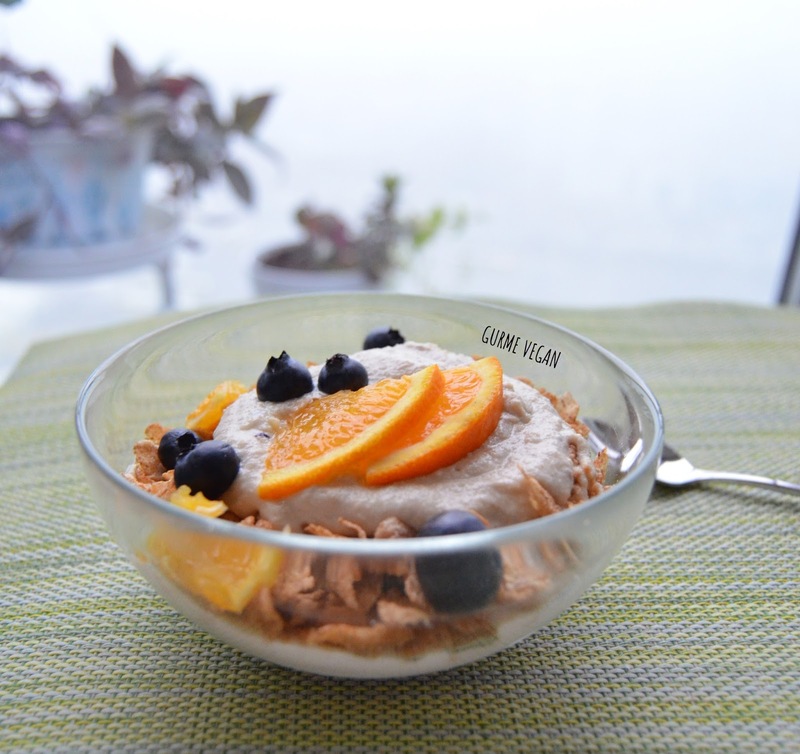 Place bran flakes in a bowl. 3. Pour cashew cream over the bran flakes. 4. 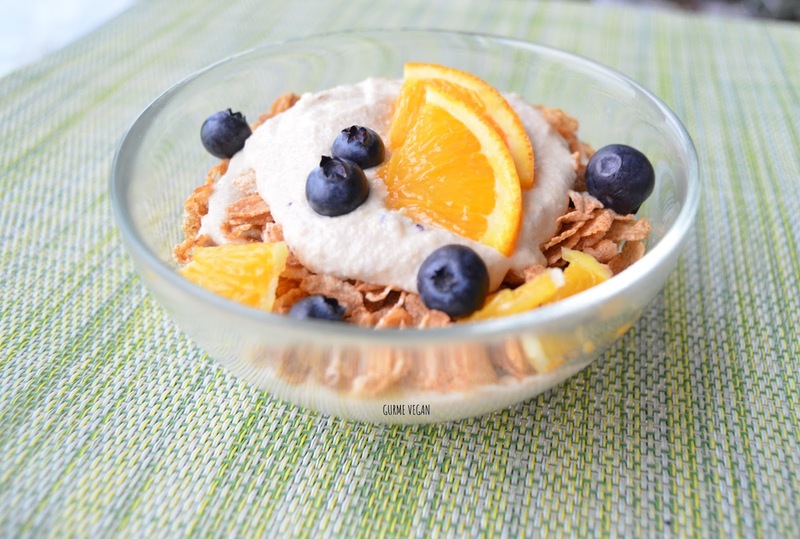 Top with blueberries and orange slices.